Protest Raytheon Weapon Sales to Saudi Arabia: war profiteers on campus! Raytheon is a major weapons manufacturer and war profiteer with headquarters in Waltham, MA. 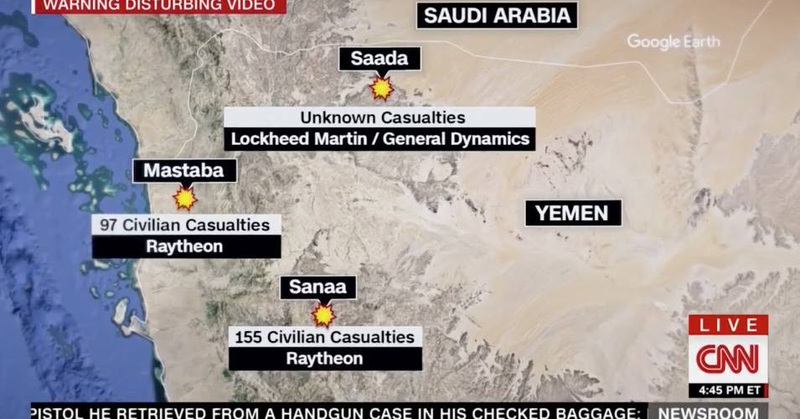 Multiple weapons made by Raytheon were found to have been responsible for the deaths of many civilians in Yemen, including children. Raytheon is attending career fairs to recruit engineers to build more bombs and missiles. Join us to protest and show our extreme disapproval of the sale of these weapons to Saudi Arabia. War profiteers off campus!